One of the great things about many National Park sites is the incredible night sky. I enjoy the night skies when it is clear and there are many stars to be seen, but the specifics associated with astronomy are not something I have spent time learning. So this program was a learning opportunity for me. 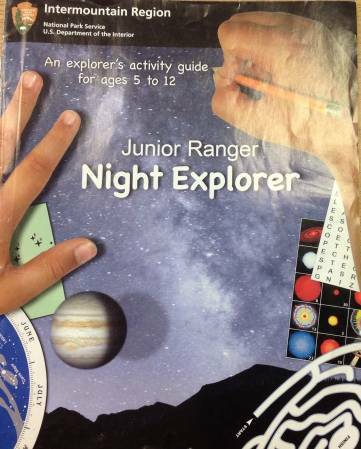 In the Fall of 2013 I picked up the Night Explorer activity guide while visiting Dinosaur National Monument in Utah. I wasn’t able to complete the booklet until this past September while visiting Chaco Canyon Cultural National Park. This park has incredible night skies, it is so far from cities that add light to the night skies that on most evenings the sky here is an astronomy classroom. This is a multi-site program that is provided through the National Park Service’s Intermountain Region. Many park sites have this activity booklet, look around the visitor center or ask a ranger if they have these materials. It is considered Senior Friendly as the upper age group is listed as “ages 8 and up” with 2 stars for their activities. The lower age groups is ‘ages 5 and up’ with 1 star for their activities and 3 star activities are listed as the ‘most challenging’. So, as a Senior ranger doing this booklet, I focused on the ‘3 star’ activities. Each page had a one star, two star and three star level, basically an extension activity built onto the initial one star activity. 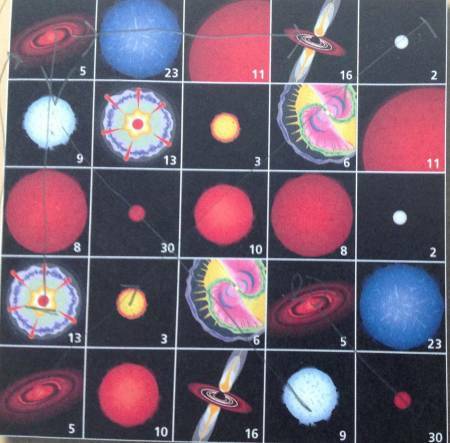 The activities included; Exploring other your Senses, Astounding Sun, Smart Stargazing, Where should the light go?, Nocturnal animals, How dark is the sky?, Changing faces of the Moon, Solar system smarts, Navigating at night, Constellation riddles, Same stars, different stories, Deep-sky match, Star formation picture jumble, and A-mazing Galaxy. I love the dark skies, but the details and terminology have always eluded me. So, this program significantly added to my knowledge base. The booklet is full of information, with lots of definitions and explanations. The activities did an excellent job of connecting the skies to life here on earth, both to animals and daily life. One activity had you identify the constellations, it was the easiest, the ones involving star cycle terms proved to be the most challenging. Once completed I had the booklet reviewed while visiting Chaco Canyon Cultural National Park. At the time I finished the program they still had the attractive patch pictured above. Several parks with this program told me soon they would be giving the standard Junior Ranger badge titled ‘Night Explorer’. Earning either item is a great reward for this multi-site, challenging program.